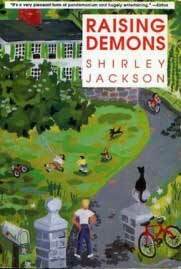 Raising Demons by Shirley Jackson is a 1957 memoir of motherhood and domestic tribulations. 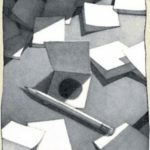 Wry and humorous, it serves up an idealized version of this author’s family’s life in Vermont, and is a departure from her fictional tales of psychological terror — notably, The Lottery (1949). How much of the depiction of this family’s life reflects reality is an open question. Jackson’s husband, Stanley Edgar Hyman, a literary critic and professor, was chronically unfaithful, controlling, and belittling. Jackson herself was a heavy smoker, overweight, and may have been addicted to prescription barbiturates due to anxiety. She was only 48 when she died of heart failure in her sleep in 1965. 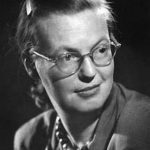 Shirley Jackson wittily recounts family travails with four children, lots of domestic animals, mountains of books, and other possessions in a rambling house. But what lay beneath its breezy and witty tone? 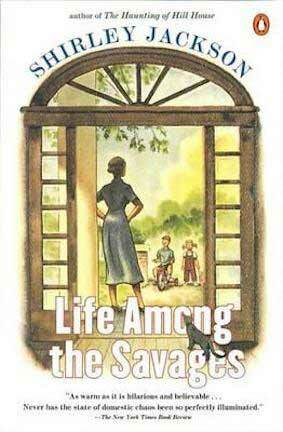 No doubt, the book is very entertaining, and along with its predecessor, Life Among the Savages, provided a template for humorous “momoirs” by the likes of Erma Bombeck and Jean Kerr. These glossy, funny versions of family life set the stage in turn for “mom blogs” that came decades later. This book has long been a hit with readers and reviewers who seemed to want to read it as literal. 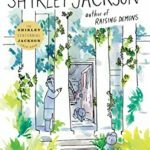 The New York Times‘ reviewer Ruth Franklin, for example, wrote that Jackson “had a genuine gift for this mode of writing,” and that “Jackson’s relaxed approach to child-rearing feels refreshingly sane.” Here’s another review from when the book was published that joins the chorus. From the original review of Raising Demons by Shirley Jackson in The Oakland Tribune, February 1957: Mommy is a serious student of black magic and author of some of the most authentically hackle-raising fiction in modern English. Daddy is as staid a college professor as circumstances allow. They are hardly conducive to academic calm. 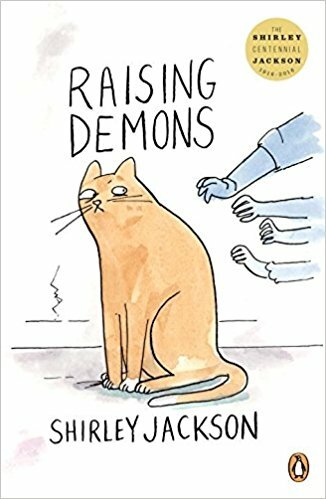 The “demons” are four highly individualistic and unpredictable children — who, as children so often do — seem to themselves to be taking the shortest distance between two logical points, though to obtuse adult eyes, they are flying off at wild and often embarrassing tangents. 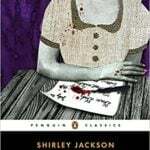 Shirley Jackson proved in Life Among the Savages, her earlier chronicle of family adventure and mystifications, that she is an adept at white magic as well as black. Who else would have picked on a homestead with one gatepost stubbornly awry (and probably bewitched)? Who else would have a small daughter who insisted on employing charms and incantations to unstick the refrigerator door — and bringing down the whole shebang on Daddy’s head? Mommy, frayed at the edges, has the bright idea of taking a few days off from the children for a brief spell of peace and quiet in New York, with a visit to the dentist as an excuse. Of course, it winds up with all four children seizing on the idea as their own and going along. New York, or at least the portions touched on in this hilarious junket will probably never be quite the same again. The visit to the dentist was forgotten in the uproar. Mommy gets long-changed (as opposed to short-changed) at the supermarket, and though she tries her utmost to set an example of sterling honest to her goggle-eyed young, everybody jumps to the wrong conclusions when she tries to explain, and she is stuck with her loot. For old and young alike, there is never a dull moment in a family like this. 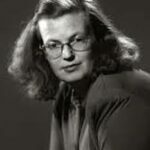 Nor is there a dull moment for the reader of Shirley Jackson’s altogether bewitching, beguiling, bubbling account of a domestic life which, if frequently “hexed,” is always under the benign protection of the saving grace of laughter.